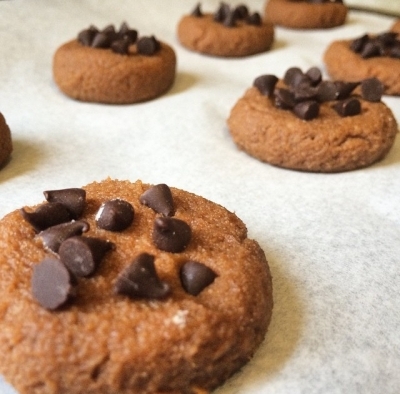 Decadent chocolate cookies made with all whole food ingredients. Pre-heat oven to 350F. Mix all dry ingredients in a bowl and set aside. Mix all wet ingredients together and slowly add the dry ingredients. Roll dough into 1 inch balls and place on a baking sheet lined with parchment paper and press flat. Bake for 11 minutes.